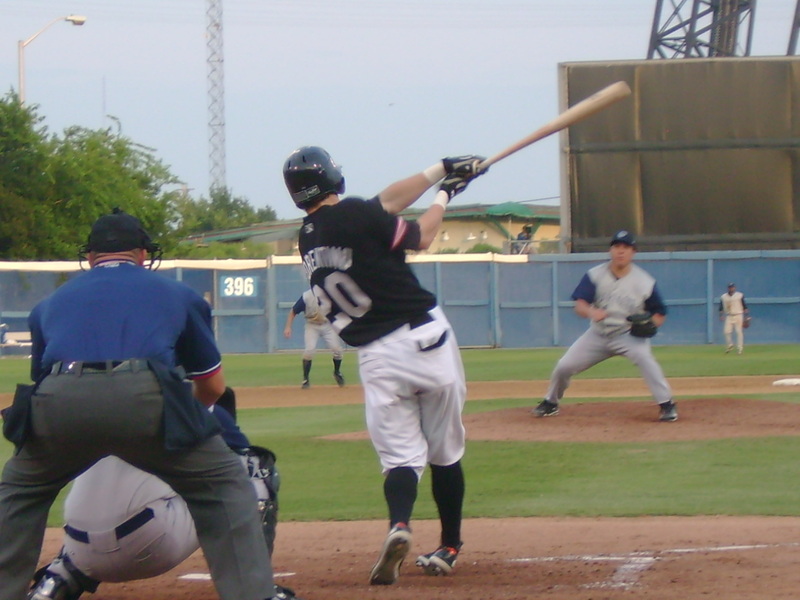 Norfolk Tides Outfielder Jeff Fiorentino homers off of Chicago White Sox pitcher Bartolo Colon at Harbor Park in July. Colon was making a rehab start in Norfolk for the White Sox AAA International League Affiliate the Charlotte Knights. Fiorentino would finish the season as Norfolk’s top hitter where he hit .312 with 12 home runs and 67 RBIs. He was called up in September to Baltimore where he hit .281 with 8 RBIs in 67 at bats. He is now a free agent.